From huge tax credits on solar panels to big rebates on efficient heating equipment and other appliances, there are a lot of financial incentives out there to encourage home improvements that save you both energy and money. This is especially true in Massachusetts, where Mass Save programs sweeten the deal even further; I recently wrote a guide for the Boston Globe Magazine about the many ways the Commonwealth will pay you to save money on energy. But there’s one very modest home improvement that can boost your property value, save you hundreds of dollars a year in energy costs, and is just about free: Planting a tree. Leafy neighborhoods aren’t just peaceful and beautiful to walk through; in peak summer heat, they can stay up to 6 degrees cooler than neighboring streets without tree cover. That’s partly because of the shade trees cast, but also because water evaporates from their leaves in a cooling process called transpiration. 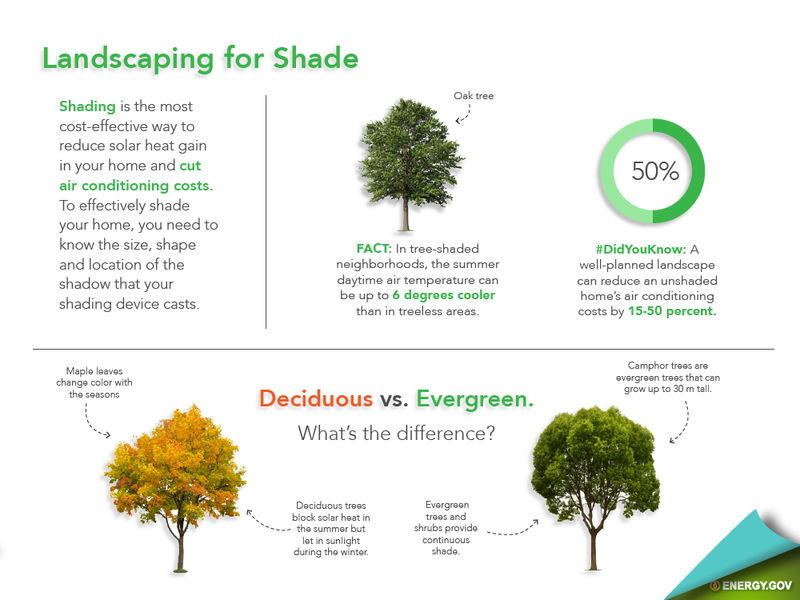 Strategically placed to provide more shade in summer and a wind breaking effect in winter, trees can lower your home’s total energy usage by up to 25%, according to the U.S. Department of Energy, while sucking carbon out of the air, too. What’s more, numerous studies over the years have shown that mature trees on (or even near) your property can add to your home’s value. 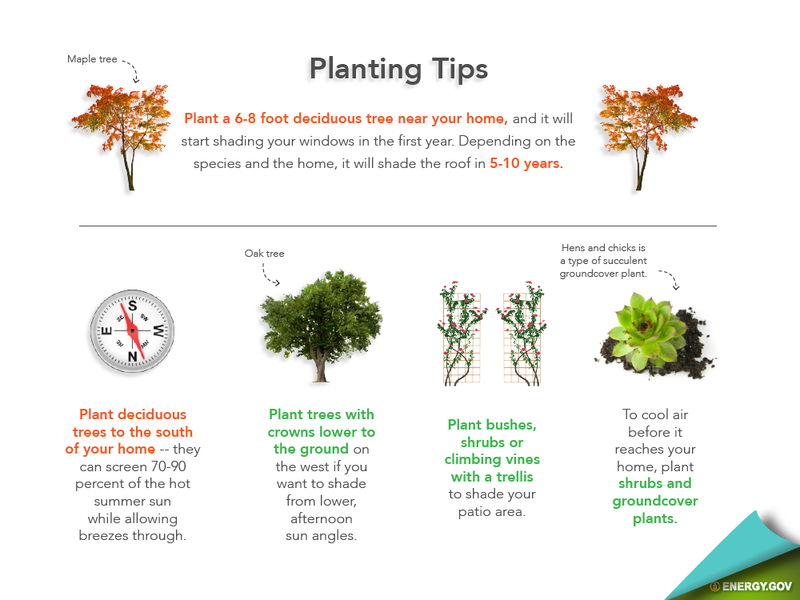 The ideal strategy is to plant deciduous trees on the south, west, and east sides of your home. In summer, the leaves will intercept the sunshine before it strikes your home and windows. But in winter, the bare branches will still allow the sun’s warm rays to grace your windows and toast you up. Evergreen (coniferous) trees work well on the north and northwest sides of the home, where they won’t block the sun but can dramatically reduce cold wind gusts that penetrate air leaks in your home. The payoff takes a while, but maybe not as long as you’d think: A six- to eight-foot sapling planted on the southwest side of your home can start blocking late afternoon sun after just one year. A squirrel planted an acorn in our front yard in the winter of 2012; on a whim I let the little seedling grow because our daughter was born that spring (what, I’m a sentimental mush). Six seasons later, the tree is now about 15 feet tall with a leafy canopy just as wide, and casts some nice shade. It’s also saved most of our front yard from scorching into coarse yellow hay, which used to be a regular occurrence. But either way, planting a tree is certainly one of the cheapest, simplest, least invasive energy improvements you can make at home. It’s also one of the prettiest and healthiest improvements you can make, too: Studies have found that simply looking at trees from a window can lower our blood pressure and improve our health. 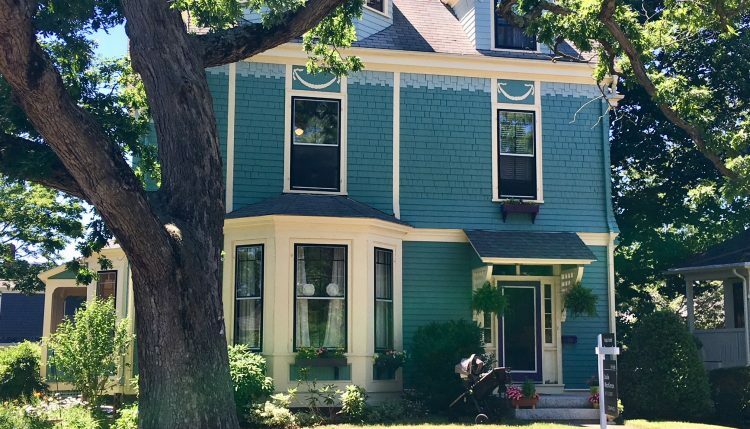 And through the state’s Greening the Gateway Cities program, some residents of Quincy, Chelsea, Lynn, Revere, and other cities are eligible to have a forester perform a site visit and plant an appropriate tree for free.